Greenwood: Mississippi Memories, Vol. 4 (Hardcover) | Turnrow Book Co.
Greenwood residents past and present have rejoiced over the excellent collections of photos and histories from their hometown's great past. 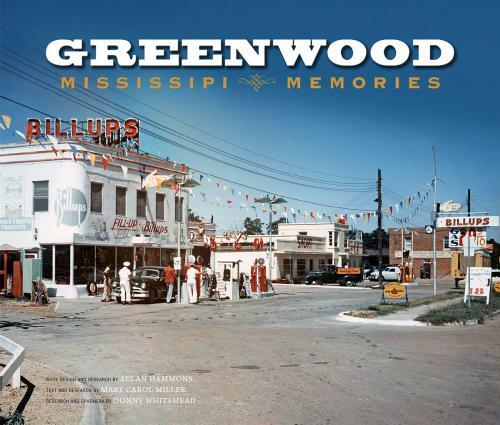 With Greenwood: Mississippi Memories, Vol. 4 our series enters the 1950s. Downtown Greenwood is in its heydey and new buildings and developments are popping up all over town. With the tense war years of the 1940s giving way to a new decade, Greenwood was poised on the threshold of a prosperity not seen since the turn of the century. Even as time wiped away most traces of the Army Air Field, the streets of downtown bustled with business and cranes dotted the skyline, foreshadowing new schools, a modern hospital, glittering highway motels and entire subdivisions. Within these pages are more than 400 photographs of Greenwood during the decades following WWII. They're a blur of activity and progress, a snapshot of a city that was bursting at the seams with optimism and opportunity. Step back in time with us for a fond look at an era which forever altered our hometown.